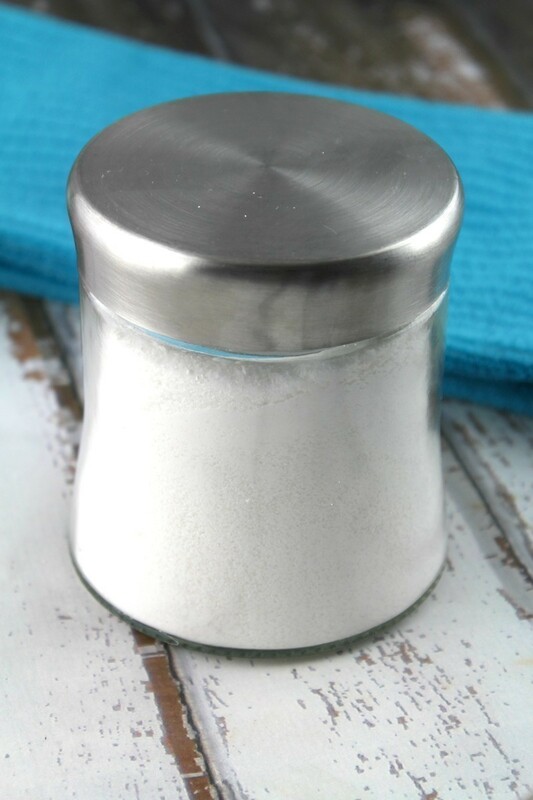 Easy DIY Homemade Dishwasher Detergent made with just a few simple, non-toxic ingredients – this stuff works incredible and is so inexpensive to make! Making your own non-toxic home cleaners is one of the best moves you can make if you are trying to aim for non-toxic alternatives for your family. Many people may assume that DIY items pale in comparison to commercial store items. But.. that couldn’t be more incorrect! Some of the best items we use at home are those that we have made ourselves. Not to mention, it’s incredibly gratifying to know that you are using something that is safe for everyone in the family, from the adults on down to baby. We have been making our own homemade dishwasher detergent now for almost 2 years and it works incredibly well. It saves us a bunch and is relatively easy to whip up. One of the biggest reasons for making our own was to get away from the more toxic commercial dish cleaners. The EWG (environmental working group) rates them on a toxicity scale of A-F, F being the most toxic. I wasn’t surprised to find Cascade and Finish as a 10, and [shocker] – many Babyganics varieties. These items really can play a huge part in our health – they build up in the bloodstream and can affect our body, even our unborn baby. 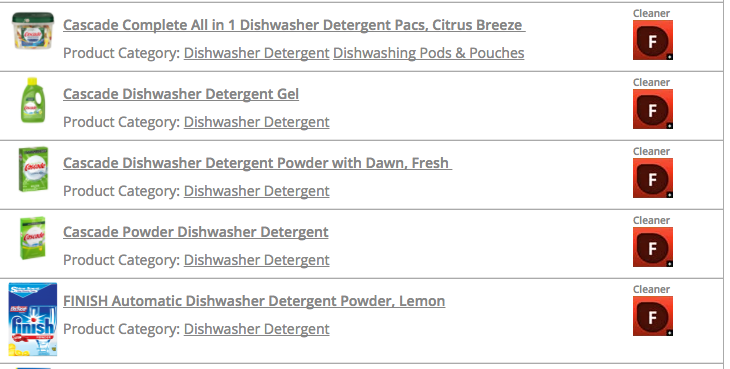 Trying to find a homemade dishwasher detergent recipe is not too easy. Dishwashers are finicky, and what works for one person may not for another. Most is due in part to hard water. While some have a water softener, what works in your dishwasher may not work in mine – it’s a challenge, a true struggle. So I hesitate to share what works for me, because I don’t want it to “not work” for you. I don’t want you to get discouraged and resort back to toxic options. Because sometimes a step in the right direction requires two steps back – if that makes sense. But… in the last few years we have used this, we have been quite happy. One of the best things about this recipe is that if it doesn’t work out for you, you can use the ingredients to make your own powdered laundry soap (with a bit of citric acid mixed in). Just pick up a few bars of Castile Soap (Dr. Bronner’s or Kirk’s are our favorite) and cut into squares, then pop in the food processor. See our DIY here (we love this laundry soap). Washing Soda: Definitely a must for making your own dish soap. Washing soda is alkaline and that alkalinity allows it to act as a solvent to remove tough stains and grime from dishes (and clothes if you use it as a laundry detergent). It’s usually used in commercial detergent to treat hard water. The washing soda binds to the minerals that make water hard and softens the water. Baking Soda: Will help freshen the smell of your dishwasher and help lift grime off the dishes. Citric Acid: Used in plastic or stainless steel dishwashers to soften water and keep the dishwasher clean. Crystals are best because they remain in the detergent cup until the detergent is released into the wash to clean the dishes. The essential oil is wonderful, but not a necessity. I usually add 5 drops to the compartment with the powder if I have an extra tough load. Funnel into the glass jar and place the lid on top. When you are ready to use your homemade dishwasher detergent, spoon 2-3 scoopfuls into your dishwasher. 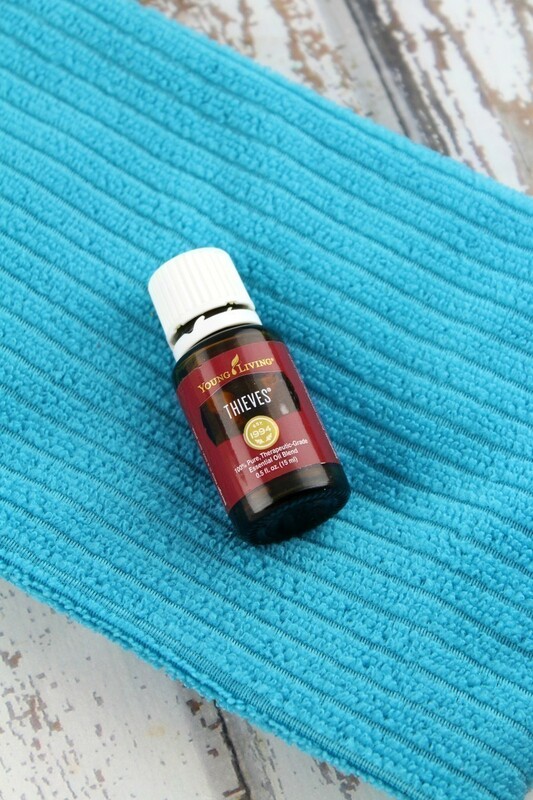 If you are using Thieves Essential Oil, add 3 drops on top, after you scoop the powder in the compartment. Close the compartment and do a load of dishes as normal. Avoid getting water in this glass jar, because it will activate the citric acid and you’ll end up with a pretty big mess. Vinegar in the rinse cycle will help keep your dishes sparkling too. If you have kids that use your dishwasher, just remind them that the better there are when they go in, the easier it is for the dishwasher to washing them properly. Have you moved away from toxic cleaners and found yourself making better choices? If not, have you thought about going in that direction? See more DIY’s for Home and Garden that you can try at home.